Sustainable energy for all: can we take care of the ‘all’? 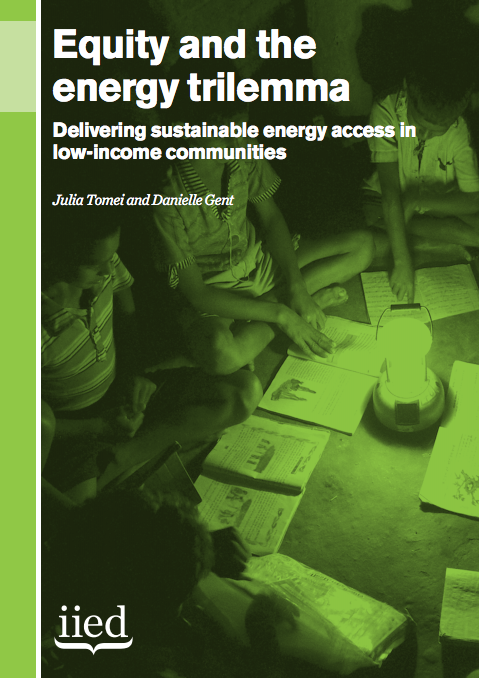 This papers looks at defining ‘energy access’ as a critical step in achieving the goal of ‘sustainable energy for all’. It argues that no one definition of ‘energy access’ would work and the need for accommodating the heterogeneity of ‘all’ to reach the multiple definitions of ‘access’. With empirical evidence from ethnographic research on two low carbon energy projects in five Indian villages, the paper engages with current debates around energy access and critiques these electrification efforts for not being able to match the people’s priorities. Further, it argues for an engagement with development debates to understand ‘energy access’ in order to bring in the required complexity that could accommodate diverse priorities. This publication is available for free from IIED website.